This post is Sponsored by Macy’s. All the opinions expressed are my own. One thing that always captivates me is the thirst for exploration, the journey through an unfamiliar area I've never been before. In my youth, traveling with my grandparents to their countryside estate to see their land, cattle and equally important camping in the woods was always a significant highlight for me. With that image in mind, I wanted to awake those memories, those unique experiences. Therefore, I decided to escape from the ordinary, the usual routine at home and go to a cabin in the Poconos with my family. 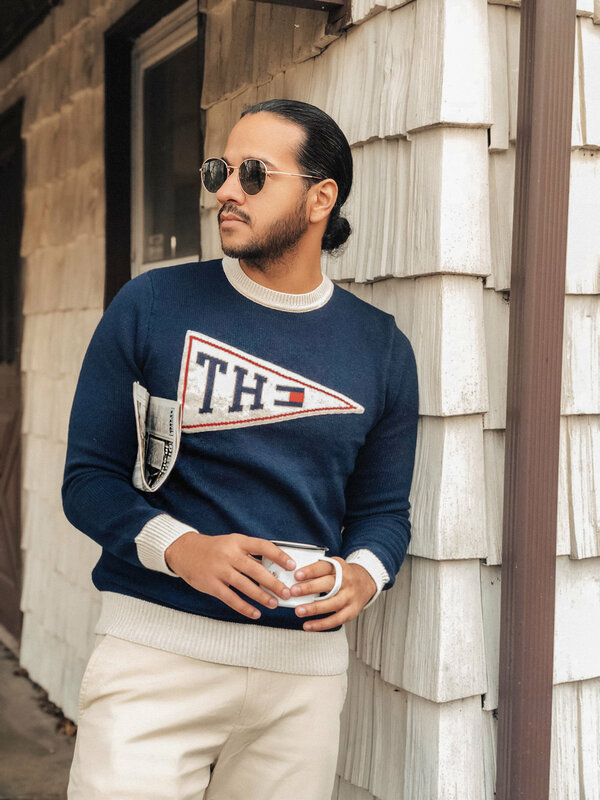 For this content, I partnered with my friends at Macy's to showcase some of the Winter's hottest Tommy Hilfiger styles they have to offer, hope you guys enjoy. Sometimes you just need to get away from it all, to take a breather outside New York City and to recharge your batteries sort of speak. Relaxing with Rosanna, Chanell, and Paris was more than ideal, it was a pleasant and welcoming time I desperately needed after so much travel during the last two months. In the Poconos, we rented a small place, just perfect I'd say, it had all the amenities we needed and more. On the second day there, I decided I wanted to re-live some of those memories about camping in the woods or at least get a sense of it all once again. 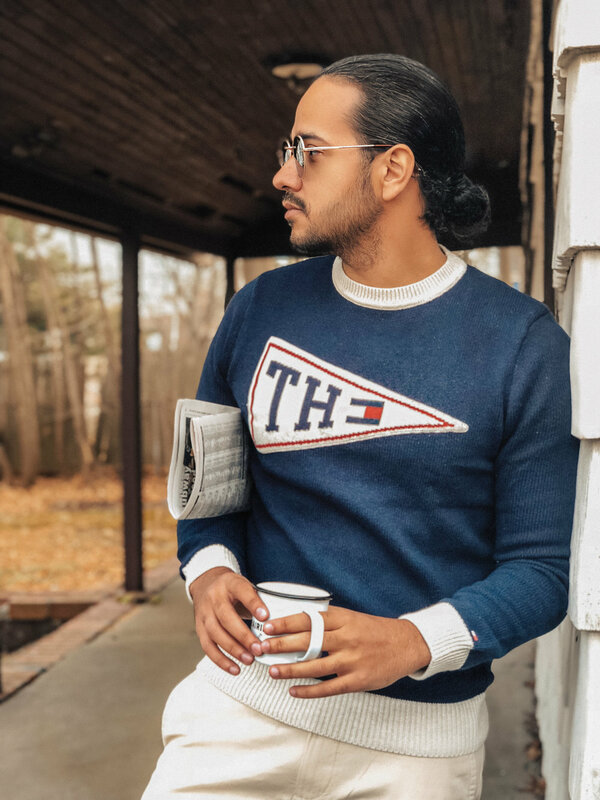 For my small afternoon excursion, I packed a few essential items and wore some warm yet stylish and comfortable pieces from Tommy which I picked up at Macy's before the trip. After walking for a bit, I found a great spot, didn't want to be far from the cabin or family, so I settle, collected some woods, started a fire, then enjoy the lonely emptiness of nature while reminiscing on those precious moments I had with my grandparents. 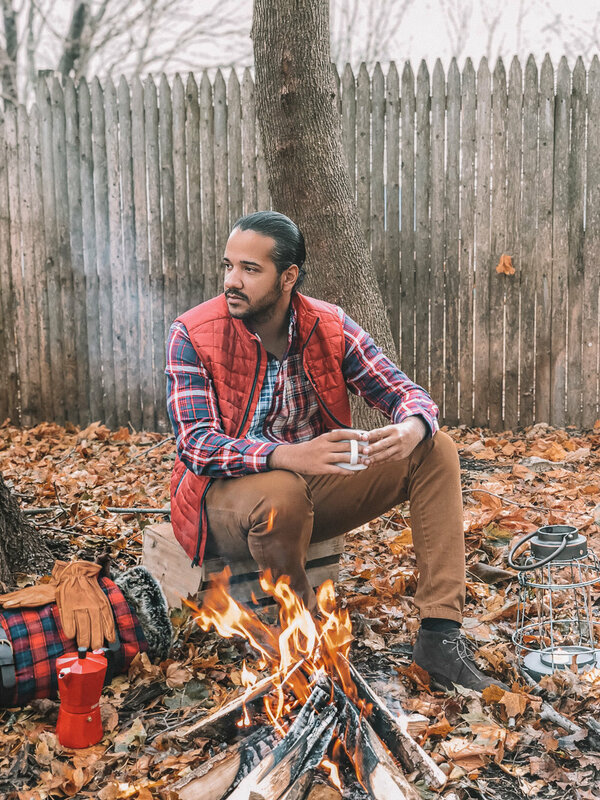 As a Man that appreciates style, I would like to take this opportunity to highlight a few fashion pieces that are perfect for camping, exploring or any other casual activity. Fabric: choose a pair of pants that are constructed with a material such as a corduroy which will help keep you warm and still look great. Layers: I suggest wearing a vest for warmth and utility due to its many useful packets. Protection: try to have some gloves, they are great for handling things better especially in the outdoors. Hope these tips will help you dress accordingly yet look stylish, and if you're interested in the pieces I wore for this trip; they can be found at your local Macy's store or their online site. Back in the cabin and after spending time with the family, I took some time to catch up on some news via the newspaper; I guess one can say that old habits die hard. All in all, this trip was much needed not only for myself but the family. I suggest considering the Tommy Hilfiger latest collection at your local Macy's store for some great pieces for your loved ones. Thanks for re-reading us, I hope you enjoy this content.